What is a FOI Publication Scheme? The North South Implementation Bodies and Tourism Ireland Ltd operate under the Freedom of Information Code of Practice (the Code), which came into effect on 1st February, 2006. The primary objective of the Code is to facilitate access by members of the public to information held by the North/South Implementation Bodies. Under Section 6 of the Code, Publications, Waterways Ireland has a duty to adopt and maintain a Publication Scheme for the publication of Waterways Ireland's information. Waterways Ireland's Publication Scheme provides guidance to the public on what information is routinely available within the organisation and how to obtain it. 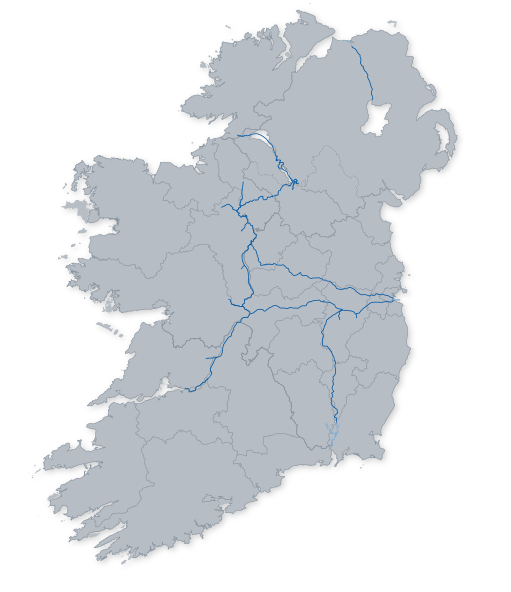 Some of the information may be formally published either as printed documents or via the Waterways Ireland website; other information may be accessible upon request. This scheme will indicate how to obtain the information in each case and whether there is a charge for such information. It is expected that over time the amount of information available will increase and that additional classes of information will be added. This Publication Scheme will be available both in hard copy and on the Waterways Ireland website and can be made available in alternative formats as appropriate. Click here to download it. The Freedom of Information Code of Practice places an obligation on Waterways Ireland to respond to requests for information it receives within given timescales. Unless otherwise specified, the version of any document released will be the most recently approved by Waterways Ireland. The rights to request and access information are subject to certain exemptions set out in the Code, which Waterways Ireland will take into consideration before deciding what information can be released.